Relieves hand arthritis pain, stiffness, and aches. Helps increase circulation and promote healing. Open fingertips allow you to touch and grip. Lightweight knit construction makes these gloves comfortable to wear day and night. The IMAK Arthritis Gloves Pair are constructed of soft, breathable cotton and are comfortable enough for arthritis sufferers to wear all day and all night. These open fingertip gloves allow freedom for feeling, touching, and gripping. IMAK Arthritis Gloves were designed by an orthopedic surgeon and have earned the Arthritis Foundation’s Ease of Use Commendation. The unique fabric provides mild compression for warmth and controlled joint swelling. 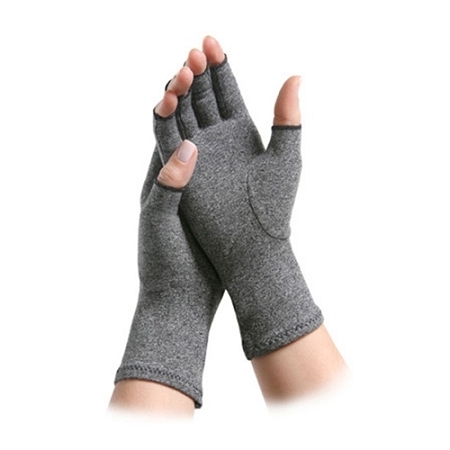 IMAK Arthritis Gloves help to relieve arthritis pain, hand fatigue, cold hands, and may also be helpful for poor circulation and neuropathy of the hands. 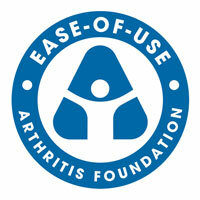 IMAK Arthritis Gloves help those who suffer from the pain of arthritis to enjoy everyday activities again. 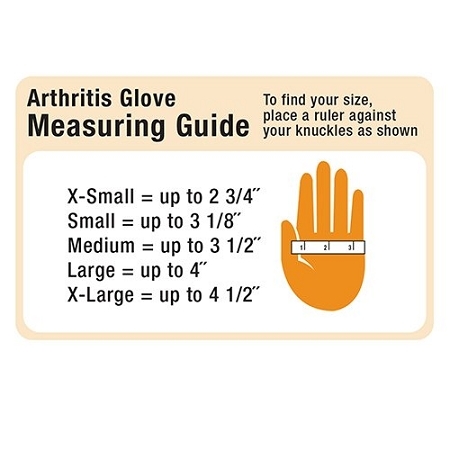 IMAK Arthritis Gloves are available in 5 sizes. To determine the size needed, measure across the knuckles. Material: 95% cotton, 5% spandex, Latex-free. Washing Instructions: Hand wash in cold water and air dry. X-Small fits: Up to 2 3/4 inches. Small fits: Up to 3 1/8 inches. Medium fits: Up to 3 1/2 inches. X-Large fits: Up to 4 1/2 inches. I love these gloves!They really help when I am having a bad day with my hands. they keep them warm & the little bit of support helps,too. my only complaint with this company is the shipping costs,they are very high. It will make me hesitate to order again. I have only worn one glove (right) since that is the only hand I have arthritis in. The second time I put it on, it already has a hole on one of the seams. I think for the price and with shipping ($28) it is a bit of a rip off. Would never order again. Gloves do an amazing job of keeping swelling down and easing the daily aches. This is my second pair. Have been wearing them for six months. They have made a huge difference. This website has the best price. 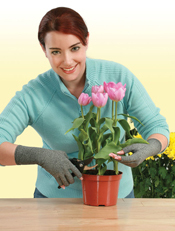 These gloves are comfortable and provide much needed warmth on chily days and in chilly air conditioning. Q: do you sell your arthritis gloves for men in black? A: The IMAK Arthritis Gloves are designed for men and women. Purchase according to size needed. To determine the size needed, measure across the knuckles and correspond the measurement with the size chart. The IMAK Arthritis gloves are only available in one color. However, the Thermoskins Arthritis Gloves (Product#:ATS8199) are black. Q: Can these gloves be returned for a different size? A: Yes, please be sure to review our Return Policy located under the "Ordering Info: Help + Policies" section. Also feel free to call Customer Service at 877.750.0376 with any additional questions or concerns. Q: Do those gloves come in black ? A: The IMAK Arthritis Gloves are only available in gray but the Thermoskins Arthritis Gloves (Product#:ATS8199) are black. Q: Do you carry these gloves in other color? Beige or skin color? A: The IMAK Arthritis Gloves are only available in gray but the Therall Premium Arthritis Care Gloves (Product#:ABN553) are skin tone. A: The gloves are constructed of soft, breathable cotton, so yes you should be able to fold it back. Q: Getting for a friend. Do these come in various sizes? Are they supposed to fit tightly? Are they stretchy? A: The gloves are available in 5 sizes. To determine the size needed, measure across the knuckles. The fabric provides mild compression and they are stretchy. Q: Can the gloves be returned if they don't fit? Q: Can one do keyboarding with these gloves? A: Yes, you can use wear them while typing. The open fingertips allow freedom for feeling, touching, and gripping.